On Saturday night, the Cavaliers travel to the Windy City trying to get their first road win of the season. Neither team has played since Wednesday and will be well-rested for their first Central Division showdown of the young campaign. The Wine & Gold saw their losing streak extended to four games after falling to the Thunder at The Q. The shorthanded Cavaliers were without Kevin Love and Sam Dekker; George Hill was a late scratch and Cedi Osman left with back spasms less than six minutes into the affair. Even with three starters on the shelf, the Cavaliers gave the Thunder all they could handle, tying the game with just over four minutes to play before running out of steam down the stretch. The Bulls, who’ve dropped five of their previous six, are a group of walking wounded themselves – taking the floor tonight without the Lauri Markkanen, Bobby Portis, Denzel Valentine and Kris Dunn. Two years ago, the Bulls swept the season series before the Wine & Gold reversed course and took all four contests last year. Larry Drew’s squad would like to make it five straight on Saturday night. It’s hard to gauge how good both teams’ benches can be because so many reserves are being forced into the starting lineup due to early-season injuries. The Bulls main weapon off the bench so far this season has been Antonio Blankeny, who’s notched double-figures in seven of Chicago’s first 12 games, with two 20-point outings in the mix – including a 21-point effort against the reigning Champs, going 7-of-12 from the floor, 4-of-6 from long-range. Chicago’s depleted rotation has also forced sophomore Ryan Arcidiacono into the rotation and he’s coming off a solid performance against New Orleans. With George Hill sidelined with a shoulder injury, Collin Sexton has moved up into the starting lineup, leaving Jordan Clarkson as the Cavs’ main scoring threat off the bench. Sexton did well in his first NBA start, leading Cleveland with 15 points on 7-for-14 shooting in the loss. Clarkson topped double-figures for the 11th straight contest but also answered some critics who’d bashed his overall floor game – nearly notching his first career triple-double, finishing with 11 points to go with nine boards and eight assists – the latter two, both season-highs. So far this season, the fifth-year man from Missouri is averaging 15.2 points per contest – good for 5th among all reserves. Tristan Thompson has stepped up this season as a leader both on the floor and off. The longest-tenured Cavalier has been outstanding over the past couple weeks, including his 10-point, 15-rebound performance in Wednesday night’s loss to OKC. Over Thompson’s last five games, he’s scored double-figures in four and grabbed double-digit boards in three – averaging 11.6 points and 11.8 rebounds over that stretch. 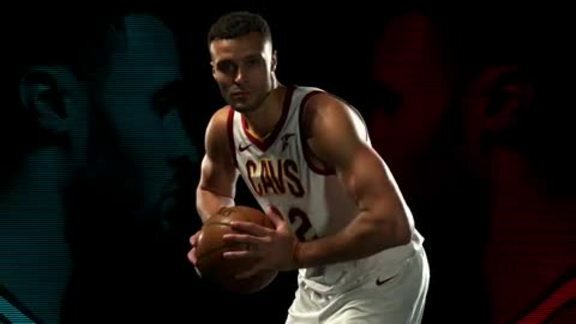 Larry Nance Jr. – who’s struggled in his last five games after doubling-up against Indy – will back Thompson up in the post on Saturday night. But the Cavs will also turn to Ante Zizic, who had his best run of the season on Wednesday night, nearly netting a double-double – finishing with 10 points and nine boards in just under 17 minutes of work off the bench. Zizic squared off in Summer League against tonight’s starting center for Chicago, Wendell Carter Jr. The former Duke standout got off to a slow start to his rookie campaign but has been excellent of late – scoring in double-figures in each of his last seven games and tallying a double-double in his last three, averaging 14.0 points and 12.3 boards over that span. Somebody’s had to pick up the scoring load to keep Chicago competitive as they work through their injury situation, and that player has been Zach LaVine. The former UCLA standout has scored at least 20 points in every game this season – including four straight 30-point performances to start the season and a 41-point outburst two games ago in an overtime win over the Knicks. LaVine has now topped 20 points in 13 straight contests, the longest such streak since Jimmy Butler went for 15 straight in 2016. The Cavaliers will throw a bunch of different looks at the two-time Slam Dunk winner, but Rodney Hood will likely get the starting assignment. Hood has been consistent, if nothing else, but hasn’t come close to replicating his performance in Cleveland’s only win of the season nearly two weeks ago against Atlanta. JR Smith will also spend some time against LaVine. After getting two straight DNP-CDs, Swish has seen plenty of action and has answered with solid production – averaging 13.7 points over his last three, 3.0 assists, 2.0 rebounds and 1.2 steals while shooting 45 percent from long-range over that stretch. After coming off the bench through the first 10 games of his career, Collin Sexton got his first start on Wednesday night at The Q.
George Hill – coming off his best game of the season, a 22-point effort on 10-for-12 shooting – was a late scratch with a right shoulder sprain, and he’ll spend parts of the next couple weeks getting healthy. While he works his way back, the Young Bull will step into the starting lineup. In Cleveland’s recent loss to OKC, Sexton was solid on the offensive end and led the Wine & Gold with 15 points on 7-for-14 shooting. He didn’t hand out an assist until the fourth quarter, but his opposite – Dennis Schroder – didn’t hand out a single helper all night. Wednesday was Sexton’s seventh game of double-figures this year and he comes into tonight’s matchup with Chicago averaging 10.9 points per, leading all rookies with a .914 free throw percentage. With Kris Dunn out for Chicago, Sexton will likely line up against fourth-year man, Cameron Payne.